An annual "report card" that judges the availability and affordability of housing in Greater Boston gives good marks to the city's efforts to increase housing, but lower marks to the suburbs. In total, the report, The Boston Foundation's Greater Boston Housing Report Card, estimates housing permits in Boston and Greater Boston together are up 12 percent from 2016. By contrast, communities outside of Boston, in total, are set to approve 7 percent fewer units in 2017, from 2016. "The city of Boston on Tuesday launches Carbon Free Boston, which officials describe as the city's next step to becoming carbon neutral by 2050. The initiative aims to address how to fuel a growing Boston while also meeting the city's climate goals. There are currently 106 buildings, worth $9 billion, under construction in Boston. Over the past five years, the city has approved adding the square footage equal to 45 new Prudential Towers. "We're very fortunate right now," said Austin Blackmon, the city's chief of energy, environment and open space. "Boston is in one of its largest building booms in its history, and that means there are great opportunities for us to have a lasting impact on the future of our city. Boston already has more LEED-certified energy efficient buildings than any other city in the nation. And Massachusetts has been named the most energy efficient state seven years in a row. By 2050 the state is committed to reducing emissions from fossil fuels by 80 percent. Boston is even more ambitious: It wants to be carbon neutral by then." The new community of Belmont will join Arcosanti as another attempt at turning Arizona desert into the next evolution of human habitation. This time, one of the richest men in the world is behind the plans. The idea is to build a "smart city" on 25,000 acres of land located about 45 minutes west of Phoenix. The new planned community will be called Belmont. "Of the 25,000 acres, 3,800 will be used for office, retail, and commercial space," explains Wiener. "Another 470 acres will be used for public schools. That leaves enough space for 80,000 residential units." Celebrate World Town Planning Day! The American Planning Association's International Division is sponsoring activities celebrating this year's World Town Planning Day. Joining planners and planning organizations from around the globe, APA and APA's International Division are excited to bring you online multimedia resources focusing on this year's theme, Implementation of the UN Sustainable Development Goals (SDGs) and the New Urban Agenda (NUA). 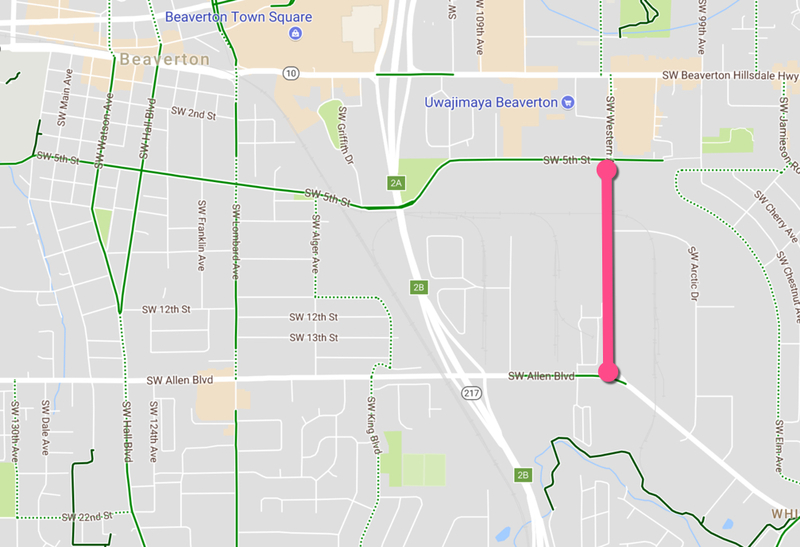 In order to spur economic growth and help businesses keep and attract employees, the City of Beaverton is set to begin work on a complete rebuild of Western Avenue between 5th Street to Allen (about two-thirds of a mile). The location of the project is an industrial zone southeast of the downtown core. Note the Fanno Creek Trail in lower right and Beaverton Town Center in upper left. 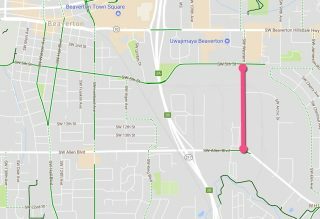 In a move that might (pleasantly) surprise you, Beaverton’s update to this road will reduce the number of driving-only lanes and add lanes for bicycling and walking. "Indeed, Halloween isn’t scary at all. It’s the one time when people feel the safest in their neighborhoods and free to enjoy them fully. " public data go for cities? Optimists predict that autonomous vehicles will be a transportation panacea, but there are good reasons to be skeptical. They may create as many problems as they solve. Analysis looks at a decade of data to determine which communities are undergoing dynamic transformations, and which are standing still.